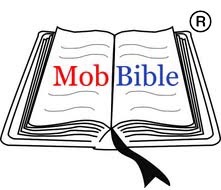 MobBible is a rib of Metron Antropos NPO, an Italian noprofit organization, founded by Anna Maria Olori. The aim of Metron Antropos NPO is to address social needs and societal plagues through a servant engagement, in order to leverage Knowledge, Charity and Ethics towards a more responsible human-to-human convergence. The mission of MobBible is to inspire a mobile, open, boundless engagement about bullying that shapes and pushes forward a multidisciplinary and multistakeholder debate. MobBible begins as a journey into suffering to rediscover a deeper sense of responsibility towards those who can’t stand up and speak out in order to do more, engage more, towards a safer, healthier, more ethical bully-free world. To help attain this goal, MobBible encourages a responsible everyone-to-everyone cooperation, so that anyone, anytime, anywhere could take part in a collective call to action towards the social concern for the epidemic plague of bullying. Raising awareness is the crowning achievement, people engagement is the ‘medium’.